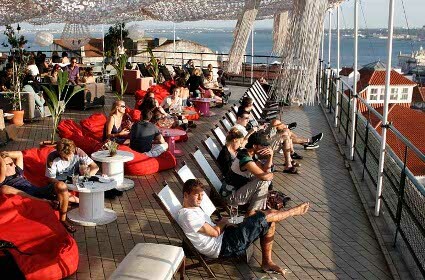 If you are looking for good food and amazing views, the O Terraço, in Lisbon, really delivers. This open air bar, located on the top floor of the Mercado building, is a great place to chug back a few cool beers. 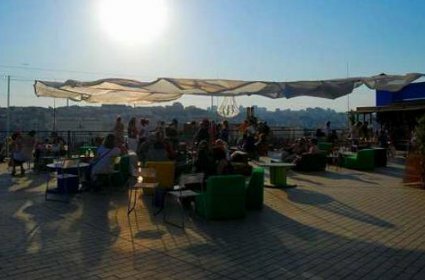 In the meanwhile, basking in the afternoon sun and drinking in the unobstructed views of the surrounding city, the Tagus River and the 25 April bridge. 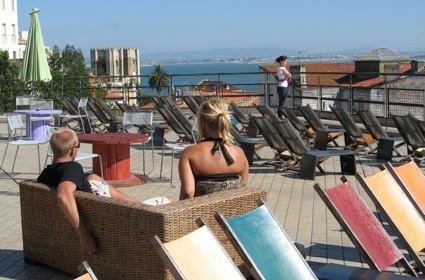 The O Terraço Bar offers an extensive list of interesting food and beverage choices too. It is a go-to place for anyone who is looking for good food and drink in a casual setting. The interior is spacious and the place never feels crowded. 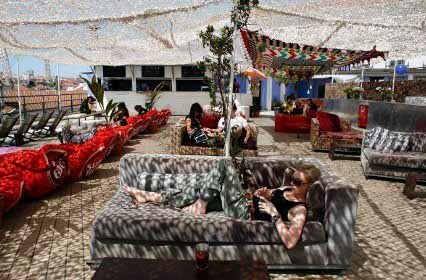 Moreover, the atmosphere is relaxed and casual with the warm, lilting tones of soft, lounge music. The couches and armchairs are plush, comfortable and inviting; the perfect place to go to when you are looking to spend some quiet time by yourself or with a special someone.